Catherine's homemade Valentine's Day cookies! 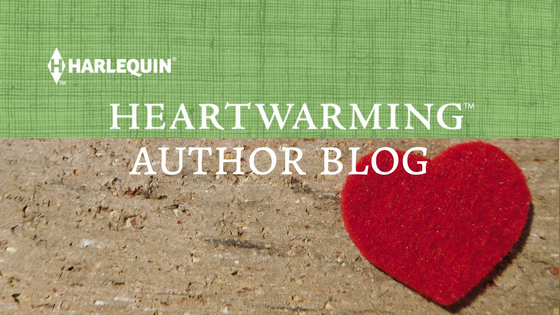 Her gift to Heartwarming readers and authors. Grab one and read on! RULA: Well, as word has it, this past Thursday—aka Groundhogs’ Day—Punxsutawney Phil saw his shadow and we’re in for six more weeks of winter. For folks out west and Midwest, our sympathy. You’ve had your share of snow already! But for many out east, winter has been relatively mild thus far, so no surprise that we’re due for more before spring hits. But either way, there’s no use in crying about it (your tears would just freeze and add to all the sleet/freezing rain forecasts). You might as well take each day as it comes…the next six weeks will pass quickly if you take it one day at a time :). So…let’s start with today, February 7th! What better way to pass a day than to recall cool things that have happened on that day in history? 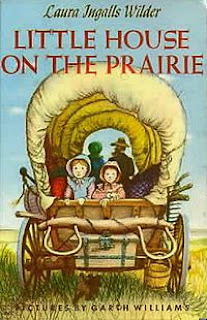 Here are just a few things listed on sites such as www.thepeoplehistory.com, www.wikipedia.com and www.nationalcalendarday.com. Note, there are tons of events listed on the sites, some more somber or political (avoided most here), so feel free to check out the sites and add your favorites, or personal Feb 7th celebrations, in comments! National Fettucine Alfredo Day – Ideas for dinner, anyone? National Send a Card to a Friend Day – Hmmmm…with Valentine’s Day in a week? And aren’t all days great for this? Just wondering. 1935 – Monopoly (the classic board game) is invented. Yay!!!!!! 1964 – The Beatles visit the US for the first time, landing in NY!!! 1984 – Astronauts Bruce McCandless II and Robert L. Stewart make the first untethered space walk using a Manned Maneuvering Unit. Space flying! Catherine's roses for all of you! No more winter excuses for feeling blue! CATHERINE: Those are some noteworthy events, Rula. 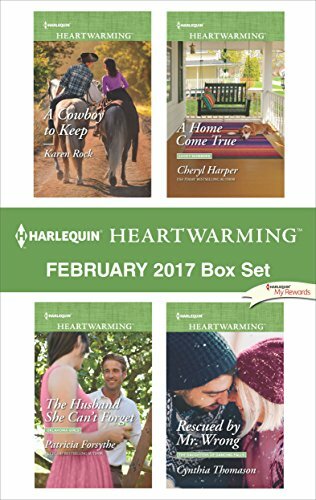 And for me, February is always a good month to curl up with my Heartwarming romances and to watch romance movies. So, I looked up all the romantic film releases on February 7th. Guess what? There were only TWO films going all the way back to 1915. That was a revelation, believe me. In fact, the month of February is not known for many film debuts. Apparently, January is the month for premiers. Luckily, two fabulous films, MEDICINE MAN starring Sean Connery, (what’s not to like?) debuted on February 7th, 1992. I’d go to a jungle to meet up with him, wouldn’t you? 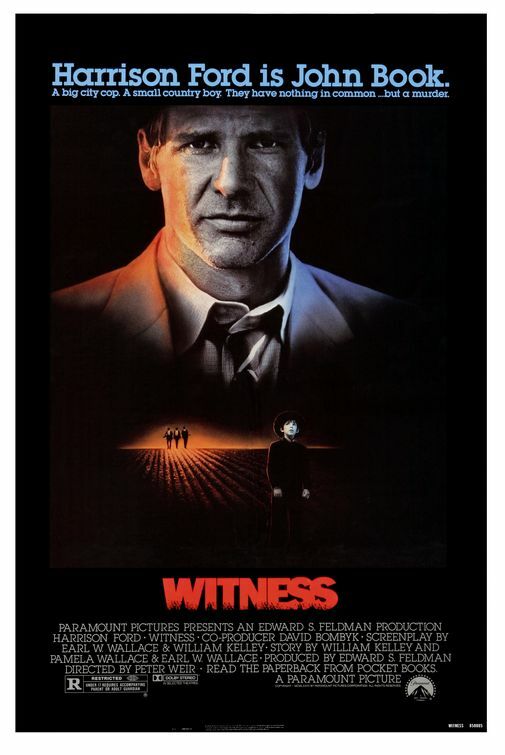 The only other movie that even came close was WITNESS, February 8, 1985. I have to tell you, I had to get this poster on the blog. Your day can only go a little better with a bit of Harrison Ford in it. Right? 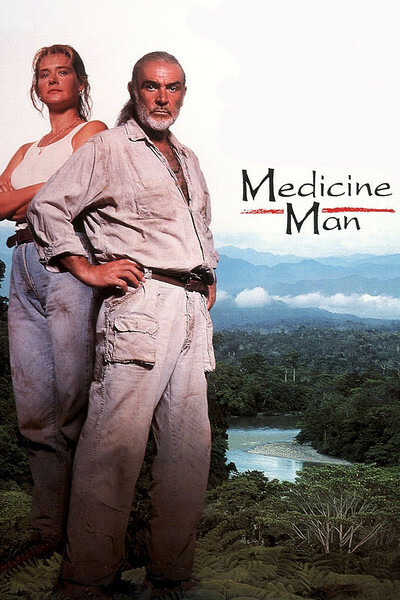 This film was truly one of his best. RULA: Whew! Catherine, I'm not sure if anyone can top Sean Connery and Harrison Ford! From now on, February 7...the number 7 for that matter...will make me think of them...7 days-a-week lol! Hard to top, yes, but we want to hear about some of your Feb 7 specials :)! Any birthdays out there? Anything special or cool happening today? P.S. Another great way to help warm up your winter…check out the Harlequin Heartwarming February releases! And mark your calendars for Catherine's upcoming book release tour March 26-April 7 for PROTECTING THE SINGLE MOM! Oh, I wish I could grab one of those cookies! Your posts never fail to put a smile on my face (even without the cookie)! The good news for us in Canada is that our celebrity groundhog, Wiarton Willie, did NOT see his shadow! We've had an odd winter and there's a freezing rain/sleet warning today, so I'm ready for an early spring. Happy release month to Karen, Cynthia, Patricia and Cheryl! 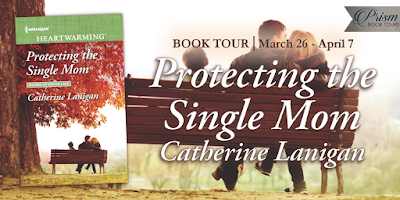 I look forward to your blog tour for PROTECTING THE SINGLE MOM, Catherine! Love the name Wiarton Willie! We're really having wacked out weather down here (that's a lot of 'w's lol). Can't believe I forgot to mention it's RWA Nationals registration day! I'm having my doubts about Punxsutawney Phil. We're predicted to be in the 70's all week. It's beautiful. Jill, it's crazy. We're hitting about 70 today (with rain), but then the high after tomorrow is in the mid 30's with snow. It's nuts!!! Not only that but this warm weather here in the Midwest has led to an epidemic of flu! Bummer. Interesting facts Rula and so odd about the movie releases Catherine. But it is a short month. I realize I don't have any family birthdays in February. We are currently having a heat wave in Arizona. At least that's what the weather reporters say. It's been up and down, I guess like everywhere. I like it better when the sun is up on my five a.m. walk. Ready for spring here. Roz, I'm with you! I want that early morning sun. It's still too dreary here. And today the fog is so thick, it DOES look like soup! I'm ready for some warm weather. It has been chily in January. Time for some warm days. And like you, Roz, I enjoy my morning walk better when it is daylight out. Happy writing. Roz, I bought myself some tulips when I was grocery shopping just because they made me feel like spring :). Rula & Catherine, I'm one of those West Coast people you guys are feeling sorry for right now. At this point, I'm pretty sure winter is going to last forever here. Interesting about the movie premieres. Love Harrison Ford in Witness. (Love him in pretty much everything.) Thanks for the interesting post, Ladies! Hey, Carol...I'm with you. I love ANYTHING with Harrison Ford. Especially SABRINA. Fun post ladies. Always itnteresting to go back in time and see what happened. I love it when Facebook sends a post you put out there like two or three years ago. Fun memories. Sandra, memory lane is a fun one to walk! The Little House series was one of my favorites and I love playing Monopoly. 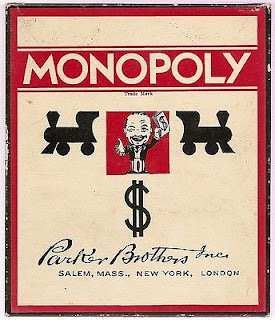 My kids tease me because when I tell guests that we have board games, my kids chime in that they're all different versions of Monopoly (including Star Trek, Star Wars, Original etc...)...or Scrabble. Thanks for the post, ladies. I love National just about anything day, especially if it involves cookies or ice cream! I know right? 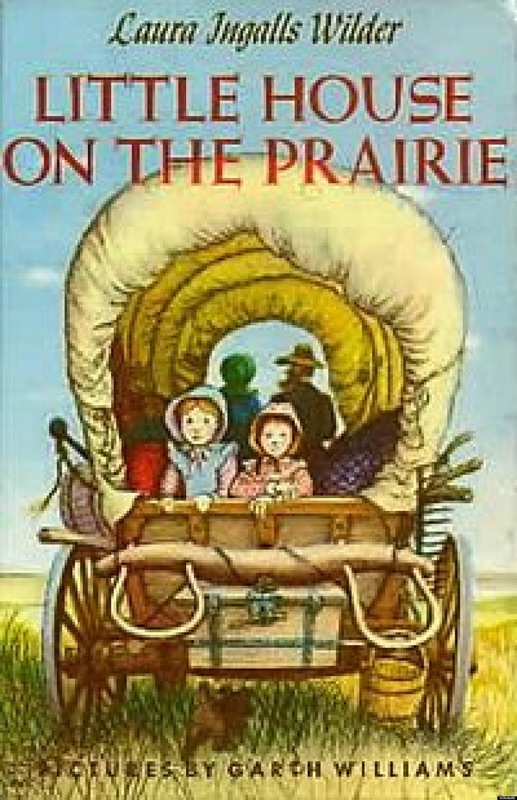 That was the cover on the first one I read. And I need to rewatch that movie since I only saw it once and it has been so long. I love wild/jungle settings :). Loved that scene in Witness where they play Don't Know Much About History on the radio, and the tough, silent guy gets a little goofy and sings along. To me, February is for buying seeds, planning the garden, and buying daffodils to remind myself that spring is coming. Beth, like I told Roz, I just bought a few potted tulips and I'll end up planting the bulbs. My kids call me a seed collector lol. I can't resist looking at them when the stores set them out and buying some. I start itching to plant this time of year, but our frost free safe date is May 1st, so I have to wait a bit longer. I start some seeds indoors, like tomatoes, in March. Oh, Muriel, you made me laugh out loud! I get to blame Catherine since she made the cookies lol :). I've watched enough Star Trek to believe that some day we might actually be able to reach into our computer screen and actually share food/treats. Just looking at Catherine's heart cookies has triggered my sweet tooth. Love your post, ladies! I wish I really could have one of those cookies - they look delicious! Catherine should open a bakery :)!